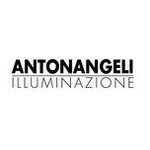 Antonangeli Illuminazione was founded in 1977, and immediately directs its attention to the design and creation of lighting with a strong personality: focusing its interest on a concept of light that is ‘functional’ and ‘emotional’ at the same time. Since to 2007 Antonangeli has been involved in the Outdoor lighting world with an unusual view: creating lighting outside that produces the same emotions that normally light creates in the interior. Carefully analyzing the market and following the proposals given by a landscape architect, Antonangeli has created a series of ‘Outdoor’ collections that has as its motto: “…we must respect the dark”. Antonangeli offers solutions which go beyond the simple formal projects and technical applications by experimenting with unusual materials which require special working procedures. This alone has made Antonangeli unique in its field. The Antonangeli’s collections are made of a profound and patient study of traditional materials worked in a new way. New materials as well as productive solutions never before tested in the field of lighting. The results are exciting forms of lighting.